We are engaged by pictures long before we even learn to read. 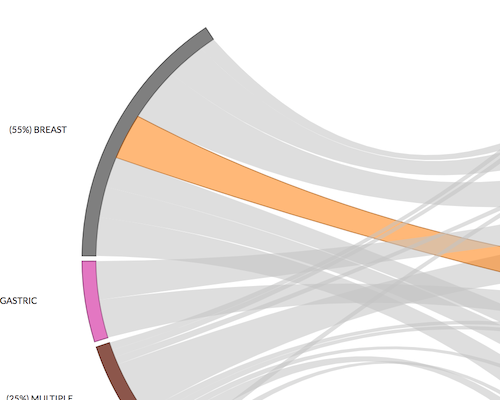 Visualisations allow data to tell the compelling stories lying beneath. Big Data is like raw ore. You need to dig deep enough to find the treasure. Maps highlight the precious details by presenting the broader picture. Have you heard people saying that star sign predictions are pretty much the same? Well, maybe there's a reason for that. 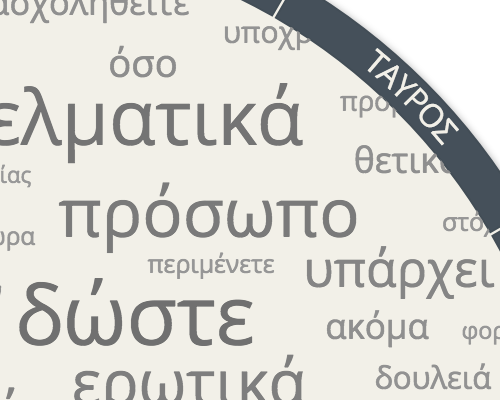 We analysed thousands of daily star sign predictions of a popular website in Greece to derive a word cloud reflecting the most commonly used words. We used our findings to build our own meta-prediction. 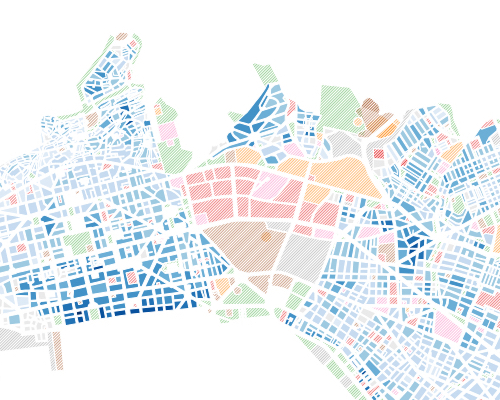 What is your land value, Thessaloniki? Thessaloniki is Greece's second largest city, the size of Utrecht. Thessaloniki, Greece's second largest city has seen its land value pressured by the financial crisis. But to what extent really? By collecting more that 10,000 real estate online prices, we are casting light on the real value in each city building block. 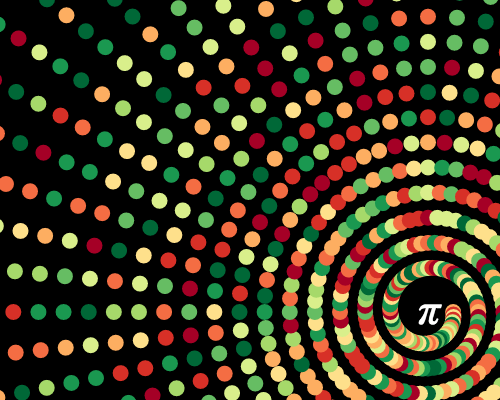 Irrational numbers, such as π, φ, e, √2 have infinite, non-repeating digits. We are coloring each digit of these numbers as dots and connecting the lines between each consecutive digit. 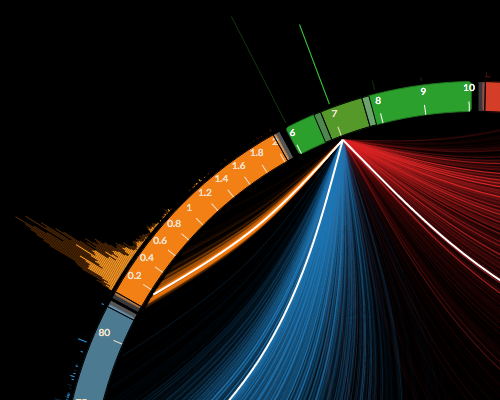 The result is animated with D3.js transitions to gradually unveil the intricate beauty of these irrational numbers. Prostate Cancer also known as carcinoma of the prostate, is the development of cancer in the prostate, a gland in the male reproductive system. Prostate Cancer is affecting millions of men worldwide. In this diagram, we are proposing an alternative data visualisation in order to highlight the hidden correlations between the clinical measures. The New York Genome Center & Weill Cornell Medicine is applying Genome Sequencing for the study of Cancer. 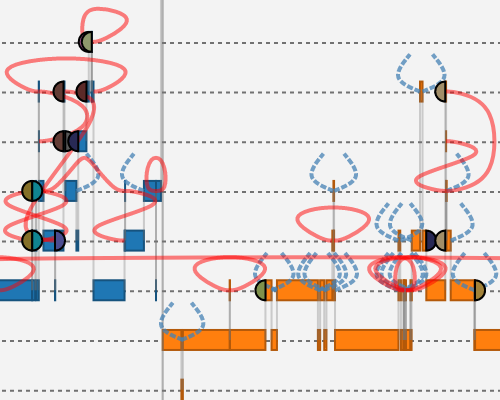 In this diagram, we are posting the data visualisation recently adopted by the NYGC in order to identify the rearrangements in the DNA leading to Cancer. Pathology labs use stains to color tissue slides for the identification of possible tumours. In this diagram, we are rendering the interrelations between tissues and stain orders in order to highlight cost distribution for lab managers. I’m a senior software designer, full-stack developer currently based in Eindhoven. I am a dedicated, enthusiastic and highly-motivated software professional with over 7 years commercial development experience. Formally educated in electrical engineering, computer science and software technology. I have a passion for rapid prototyping, specifically how vague concepts can be put to test. I feel inspired about making things work in short iterations, building proof of concepts that can quickly validate a certain hypothesis. I am a genuine lover of Ruby on Rails, I adore this short of agile, straightforward way of prototype development.